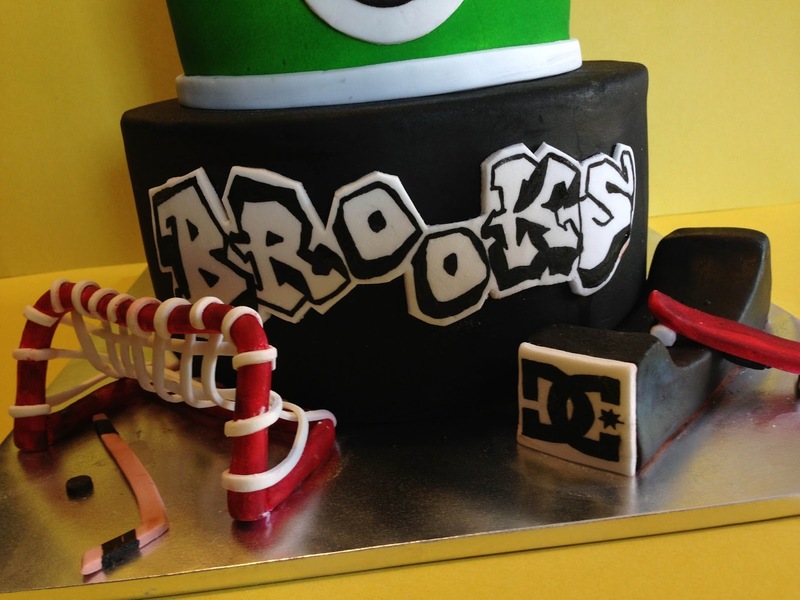 Brooks is Daddy to 2 adorable boys, Drew and James, and hubby to my dear friend Despina. 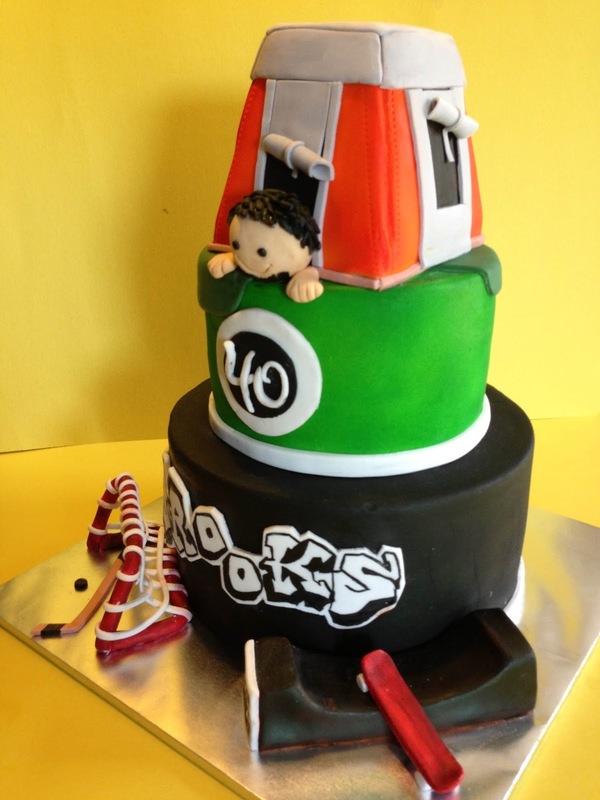 Last weekend, he celebrated his 40th birthday with a surprise party organized by his sweet wife making this also an even more special Father's Day celebration. 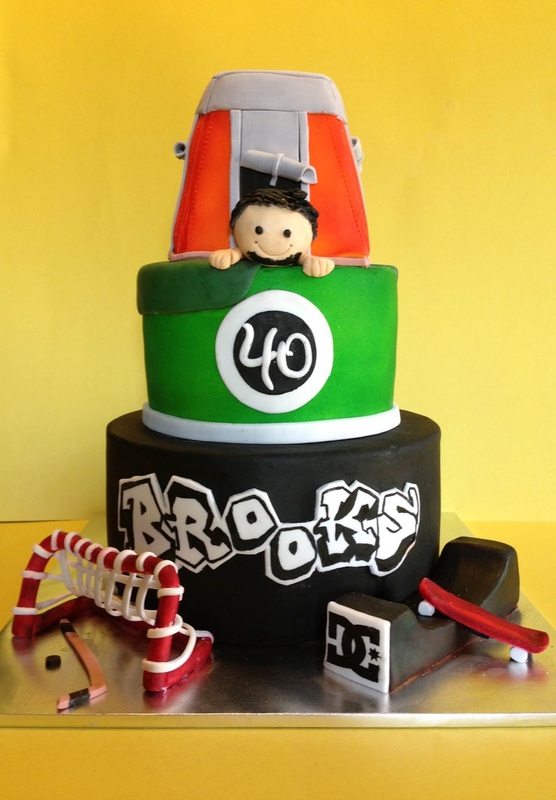 This all-edible cake is part of his surprise, incorporating 3 of his most favourite hobbies: camping, hockey and skateboarding. Bottom tier is Brooks' favourite cake, ginger carrot cake with cream cheese filling and middle tier and the tent is chocolate cake with dark chocolate ganache. I hope you had a wonderful Father's Day weekend. Have a sweet week, everyone! Holey moley!! 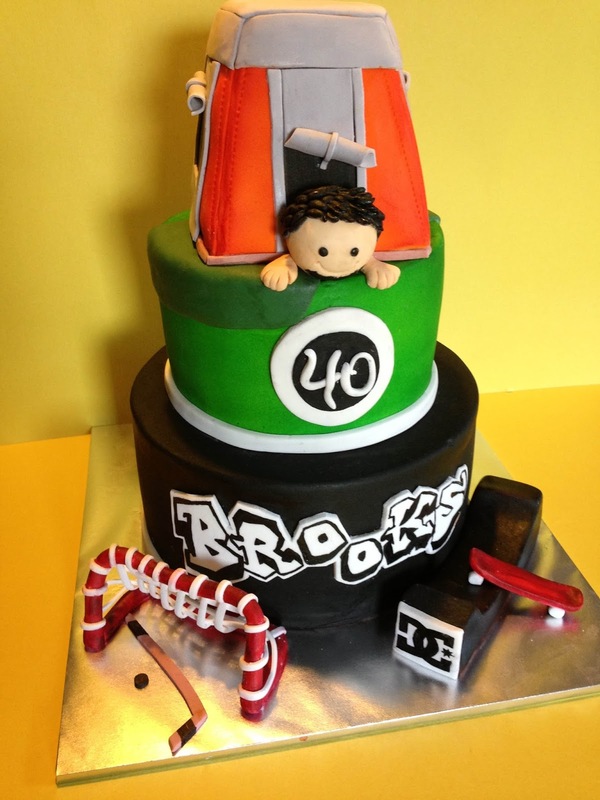 That is such an incredible cake. It looks like a sculpture - not something you'd eat!! I bet it was hard to cut into it :).